The Tarrago Sneakers Kit consists of the best selection of products for the cleaning and protection of your Nubikk sneakers. 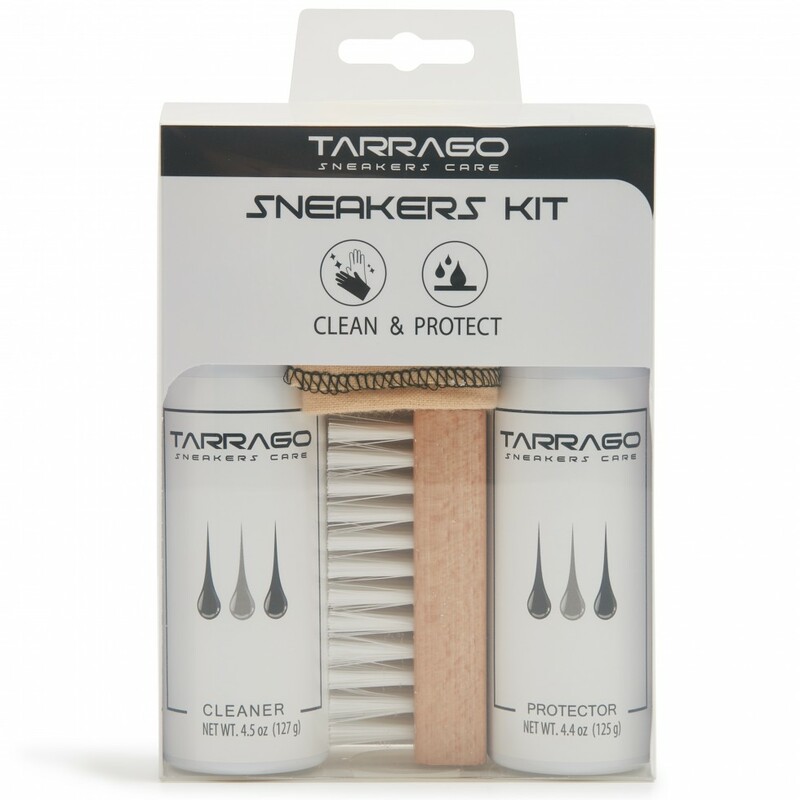 The Tarrago Sneakers Kit is a special collection for the cleaning and protection of your Nubikk sneakers. 1. Tarrago Sneakers Cleaner (125ml) is a foaming detergent with high cleaning power and suitable for all colors. Its conditions and deodorizes leaving a pleasant and delicate fragrance. 2. Tarrago Sneakers Protect (125ml) makes your sneakers waterproof, repels the dirt and protects from rain and snow. Suitable for leather, synthetic leather, oiled leather, suede, nubuck, and textile. 3. Sneakers Brush helps to remove stubborn stains. 4. Sneaker Shoe duster is perfect for cleaning and is 100% natural cotton. How to use: Please check the products individually on our site for specific instructions.